As a branch of civil engineering, transportation engineering has a history that is long and illustrious and a future that is full of promise. The National Academy of Engineering has identified restoring urban infrastructure and implementing smart mobility as grand challenges. We need coordinated approaches to tackle transportation issues by integrating car, rail, bus, truck, walking and bicycling to meet sustainability goals. Currently, we see how smartphones have enabled ride sharing services such as Uber and Lyft, while taxis and GPS-equipped cars and trucks are providing massive amounts of data that was unimaginable a few years back. 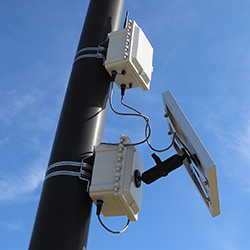 Before long, it may be common to have vehicles are talking to infrastructure (V2I) and vehicles talking to each other (V2V). Traffic flow with automated vehicles is expected to be much safer and more efficient than with human drivers. The award-winning Purdue Student Chapter of the Institute of Transportation Engineers introduces students to the transportation profession and fosters a close association of students with practicing engineers, educators from other institutions, and local and national chapters of ITE. 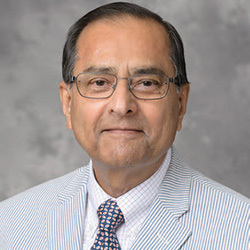 Satish Ukkusuri, Professor of Civil Engineering, will be a keynote speaker at the 1st International Conference on Smart Tourism, Smart Cities and Enabling Technologies, referred to as The Smart Conference, May 1-3 at the University of Central Florida in Orlando. 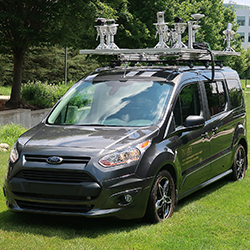 Purdue’s Discovery Park, in partnership with the Joint Transportation Research Program, the Purdue Policy Research Institute, and the Center for Education and Research in Information Assurance and Security, is hosting a Connected and Autonomous Transportation Vehicle (CATV) workshop for Purdue faculty and research staff. The free event will take place 1-5 p.m. April 24 in the Burton D. Morgan Center for Entrepreneurship, Room 121. Meg Hunter, undergraduate student at the Lyles School of Civil Engineering, has been awarded the 2019 Women's Transportation Seminar (WTS) Greater Indianapolis Chapter Scholarship. The scholarship was established to recognize an undergraduate female in the transportation industry. Lyles School of Civil Engineering graduate student Seyed Ali Ghahari and undergraduate student Margaret Hunter have been named recipients of the 2019 Edward J. Cox Memorial Transportation Scholarship Awards. The award is presented annually by the Indiana Section of the Institute of Transportation Engineers. Congratulations to Tariq U. Saeed, recipient of the 2019 College of Engineering Outstanding Research Award. 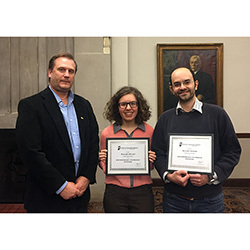 The award recognizes excellence in graduate student research from across the College of Engineering. 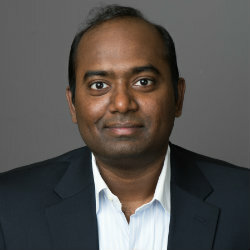 Tariq will be recognized at the Spring Graduate Student Awards luncheon through a certificate and a $2000 award. A paper by PhD student Irina Benedyk and Adjunct Professor of Civil Engineering Srinivas Peeta has received the 2018 Editor's Choice Award from the Springer journal Maritime Economics & Logistics. 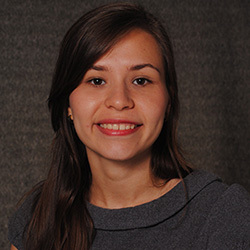 Lisa L. Losada Rojas, PhD student at the Lyles School of Civil Engineering, has been awarded a $3,000 scholarship from the Women's Transportation Seminar (WTS) Greater Chicago Area chapter for the 2018-2019 academic year. 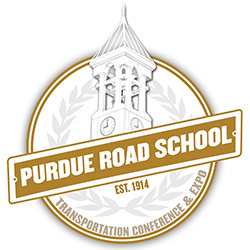 The 105th Purdue Road School will be held March 4-7 on the Purdue University campus. This is a great Indiana tradition that brings together federal, state and local agencies, industry, consulting and academia to collaborate and reflect on diverse transportation topics. Over 3,000 attendees will have the opportunity to hear Opening Session and Luncheon keynote addresses from leaders in the transportation field, choose from nearly 200 hours of technical sessions, visit a variety of exhibitors, and network with their peers. 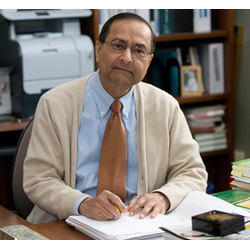 Kumares C. Sinha, Olson Distinguished Professor of Civil Engineering, has been recognized by Jadavpur University, India, at the commemoration of its 60th anniversary, as a Distinguished University Alumnus. Idling in a long highway line of slowed or stopped traffic on a busy highway can be more than an inconvenience for drivers and highway safety officers. It is one of the most vulnerable times for "secondary accidents," which often can be worse than an original source of the slowdown, according to the U.S. Department of Transportation’s Federal Highway Administration. In fact, secondary crashes go up by a factor of almost 24 during the time that highway safety officials are assessing and documenting the crash site. Holiday drivers who find that roadwork is driving them crazy may find in future years that a Purdue University-affiliated startup can seal the deal for a merrier journey. Environmental Concrete Products is a startup based on a Purdue innovation, with funding for the Indiana Soybean Alliance, which uses engineering sealant technology to protect and prolong the life of new and existing concrete to make a smoother ride for travelers and save costs for road upkeep and repairs. 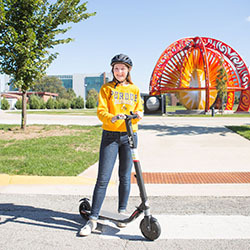 In the coming weeks, 40 scooters will be distributed across Purdue's campus to begin a four-week research project on best practices for using e-scooters. 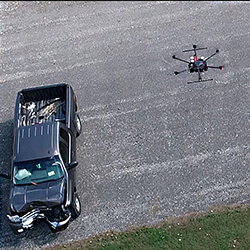 The research project, called Jelly, is being led by Darcy Bullock, Purdue's Lyles Family Professor of Civil Engineering and director of the Joint Transportation Research Program, which is operated out of Purdue's Discovery Park. A study completed in 2017 by the Lyles School of Civil Engineering was used by the Indiana General Assembly to realign the highway taxation structure that addressed the growing transportation-funding needs. The study concluded that the existing (at that time) fuel tax was inadequate to ensure that the state's roadways were maintained properly. According to the report, federal and most state fuel tax rates have not changed for many years. That and the increased fuel efficiency of modern cars has created a serious funding gap that is rapidly growing. Electric cars that charge while driving? Purdue civil engineers want to make that leap. 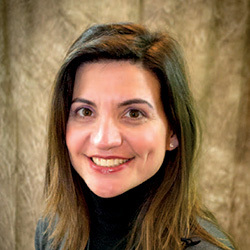 Konstantina "Nadia" Gkritza, Associate Professor in the Lyles School of Civil Engineering, studies the practicality of a roadway where electric-powered vehicles are recharged as they drive along it. Congratulations to Professors Jon Fricker and Samuel Labi for receiving the 2018 D. Grant Mickle Award from the Transportation Research Board. The award was given for their paper titled, "Bundling Bridge and Other Highway Projects: Patterns and Policies." A Purdue University-developed product called Blueavion f1, launched Monday (July 23) by Bluemac Analytics Inc. is shown to help airports more accurately log airport operations. 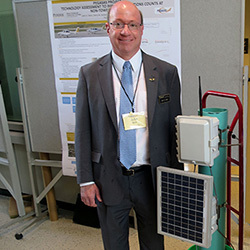 The technology, developed by Darcy Bullock, the Lyles Family Professor of Civil Engineering and director of the Joint Transportation Research Program, and John Mott, associate professor in the Purdue Polytechnic Institute School of Aviation and Transportation Technology, features a transponder data collection system that provides a more accurate method to determine the number of operations an airport has in a given time. John Mott was awarded the Fall 2017 Civil Engineering Best Dissertation Award and will be recognized this fall at the Civil Engineering Scholarship and Awards Banquet. 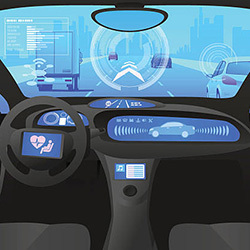 Purdue University’s Discovery Park will lead a nationwide partnership focusing on the expanding research field of connected and autonomous vehicles. 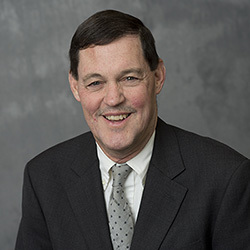 Darcy Bullock, the Lyles Family Professor of Civil Engineering and director of the Joint Transportation Research Program, will lead the partnership through Discovery Park, Purdue University’s complex for major interdisciplinary research activities. 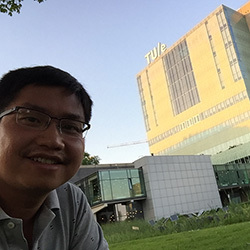 PhD student Tho Le is spending this summer collaborating with faculty at Eindhoven University of Technology in the Netherlands on a project matching and routing strategies for emerging crowd-shipping systems. 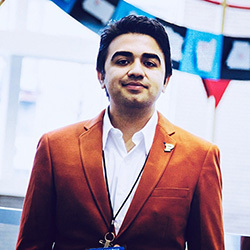 Tariq U. Saeed, Hugh W. and Edna M. Donnan Doctoral Candidate of Transportation & Infrastructure Systems Engineering at Purdue University's Lyles School of Civil Engineering, is the 2018 winner of the Jack E. Leisch Fellowship Award. 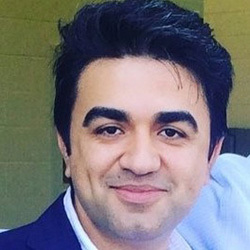 With a strong showing as runner-up for this year's fellowship is CE doctoral student Seyed Ali Ghahari.